Astrea Unit Converter is a Salesforce Lightning Component. This component can be used to convert the units within the Salesforce instance. The component is easy to use and have point and click graphical user interface. Click on the app icon and then select Sales app . Go to Gear icon and then select Edit page . User can drag and drop the component on the desired page . 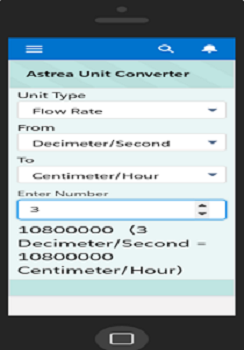 Astrea Unit converter can be accessible on mobile. User needs to create a custom lightning component tab. Select tabs from Quick find box. Add the component to the Salesforce lightning navigation menu. User first needs to select the unit that he wants to convert . After this, user can specify the base units . 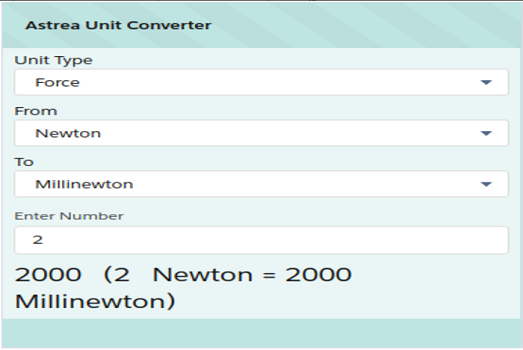 Specify the unit in which the selected unit needs to get converted . User can then enter the number that he wants to convert . You can also refer the User Manual for further details, from here. You can download the app from Appexchange.